To be a successful threat hunter, you must have a target in mind. You need to look in the right places, and you need the right weapons. While some analysts can devote a good amount of time to threat hunting, most have limited time and resources for this activity. The good news is that anyone can be a threat hunter — even if you are only spending a few hours a week. In this guide, you will learn the minimum toolset and data requirements needed to develop a set of threat hunting techniques. Threat hunting allows you to spot both leading and active indicators of attacks, empowering quick responses to identified threats. By engaging in threat hunting, you can better understand where your defenses are weak, how attacks are occurring, and how to properly remediate gaps in your security. 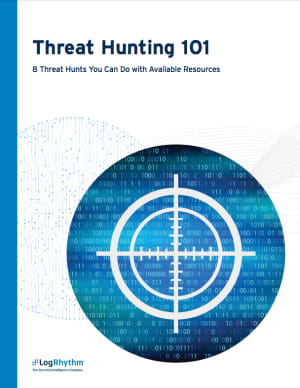 To learn more about threat hunting techniques, download the guide.